In just the past few months, I have seen multiple friends and loved ones so close to losing their homes and everything else as a result of forest and accidental house fires. I’ve seen the news littered with people struggling to deal with dangerous flooding, wildfires, and even terrifying gas explosions. Though I’m far from a Doomsday Prepper, I am a bit paranoid when it comes to being prepared for disasters. With the frequency of disasters appearing in the news and since we just moved into a new apartment building in a somewhat new location, it has been on my mind a lot lately. While this isn’t the lightest or most fun subject to discuss, it’s one every pet parent needs to think about. 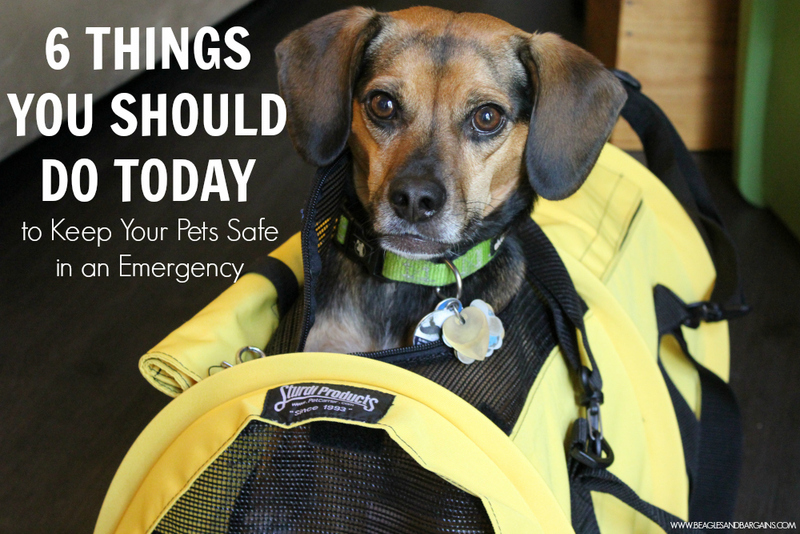 How can I keep my pets safe in the event of an emergency? There are many different types of emergency situations, but trying to be prepared for the worst can help you out when things do go wrong. Delayed Evacuation may be in the case of an impending wild fire, hurricane, or other natural disaster. You might have some time to get out, but you have to leave and you can’t take everything with you. Our friends Rolo and Kimberley from Confessions of a Rescue Mom had to evacuate their home earlier this summer due to the Wildfire of Fort McMurray, Alberta. Her whole family is safe and sound (including a new baby human addition) and she was fortunate enough that her house was left standing, but I can only imagine what a trying and difficult time it was. You can read about her whole experience in her Part 1 and Part 2 posts. She also has a handy infographic on what you should pack during an evacuation. If you are looking for ways to be prepared for sudden injuries or health related emergencies, be sure to check out our First Aid Kit Packing List. 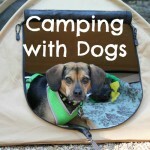 This is super handy for pet friendly road trips, camping trips, or even to keep in your car during a hike. As for an emergency with an intruder, I’ll save that for another day but if you have experience or tips I’d love to hear from you. Shoot them my way at [email protected]! So that leaves us with Immediate Evacuation to discuss today. You may need to evacuate immediately for any number of reasons including house fire, gas leak, flood, earthquake, or anything else that might weaken the integrity of your home or put you in immediate danger. In these situations, you have minutes or even seconds to get out safely, so accept now that not everything you want to save will make it out. Please for all things that are heavenly, prioritize the lives of your loved ones and pets first. Practice recall. Practice it again. Heck practice it daily. This very call could be your dog’s lifeline. You can use it to call them out of danger or bring them to you if you can’t find them. Teach your dog to speak. Teach a Beagle to speak? Crazy, right? Well no. 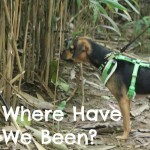 If you do it right, teaching your dog to speak won’t actually encourage them to do it more often, but what it can do is help you find your dog if they can’t get to you (when you try recall). The faster you find your dog, the faster you all can get out of there safely. Go get yourself a quality pet carrier. I don’t use a pet carrier regularly, but I want to have one available for each dog in case of injury or emergency. I elected to go with the SturdiBag from Sturdi Products for several reasons. 1. 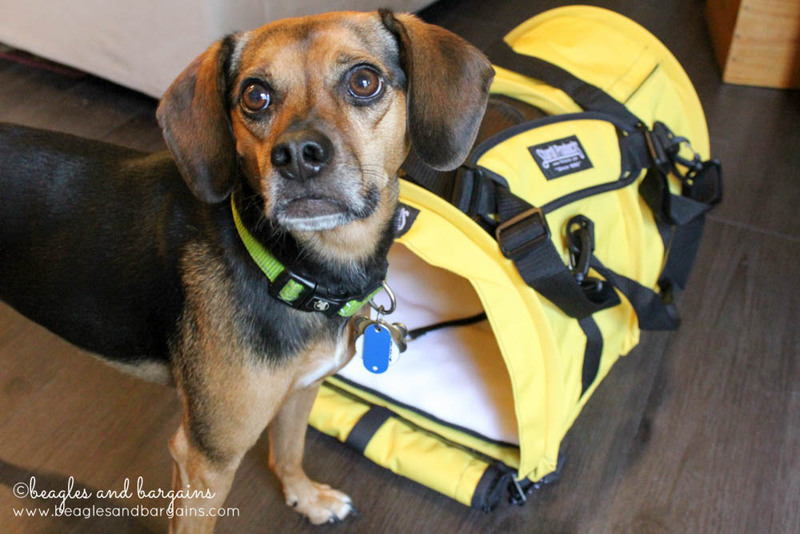 Portable and Lightweight – You don’t have to lug around a bunch of extra weight if you need to transport your pet in a hurry and they come complete with a padded shoulder strap as well as double handles. 2. Versatile and Flexible – The flexible nature of the bag and its patented flex-height design allows you to easily store it, but also allows it to fit into smaller spaces. In fact, the SturdiBag Large was designed with in-cabin, airline travel in mind and is the largest bag most airlines allow on board. 3. Quality Made – When it comes to preparing for emergencies, you need to spend money on products you know will last and get you through a bad situation without failing. I have had the privilege of meeting members of the Sturdi Products team and was able to see first hand the pride they have in their product. I know our SturdiBags won’t let us down. 4. Storage Space for Necessities – A big plus for me when picking pet carriers was that the SturdiBag has a built in pocket. I keep a copy of the dogs current records along with a small first aid kit and spare collar, leash, and ID tag in each of our SturdiBags. Go ahead and feed your leash addiction, but don’t keep them all in one place. If you are like me and a tad bit guilty when it comes to buying one too many leashes, now is your chance to celebrate. It’s OKAY! But rather than keeping them all in a closet or drawer, try scattering them throughout your home a bit. I like to keep a spare collar (with ID tag) and leash set in my nightstand, in my car, by the front door, and by the back door. The goal is that any time I might suddenly need a leash or collar, I will have one not too far away. Microchip your dog and keep it updated. I’m guilty on this one. We have moved and I still haven’t updated it yet, but you can bet that it’s on my to do list for TONIGHT. In cases of emergencies, there is a chance you and your pet might get separated. Microchips significantly help your chances of being reunited again. Half the battle is getting your pet microchipped and if you go through that effort, then you want to make sure the chip has your correct information. 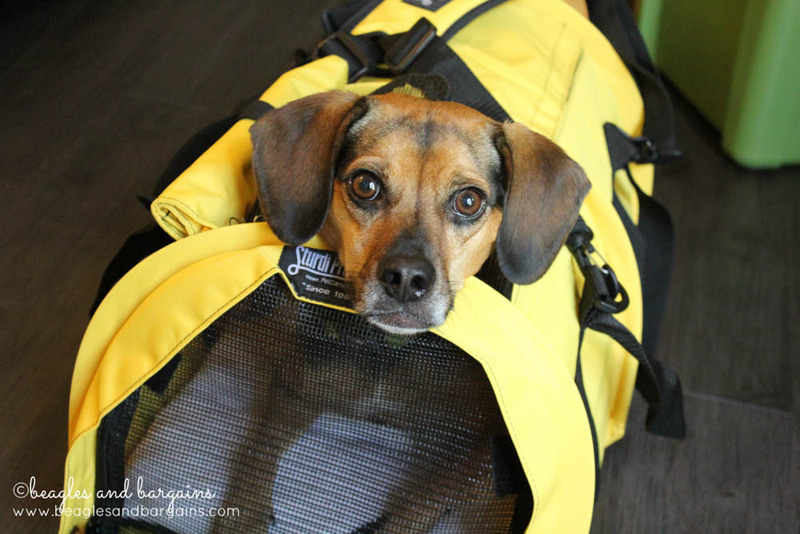 Put together an emergency go bag for you and your pets. This might seem like a bit much, but even if the apocalypse doesn’t come it can be super handy. Include vital things that store reasonably well like a flashlight, lighter, first aid supplies, matches, water purification tablets, basic cooking utensils, dried or dehydrated food, compact mirror, and whistle. 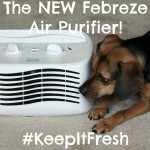 How have your prepared for emergencies to keep your pets safe? 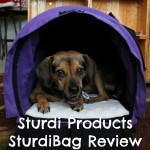 Disclaimer: Sturdi Products provided the SturdiBag Large free to review. I received no additional compensation or benefits for mentioning the products in this post. The opinions and ideas in this post are my own and are uninfluenced by any other person or business. 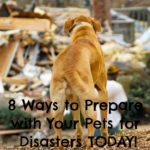 8 Ways to Prepare with Your Pets for Disasters TODAY!